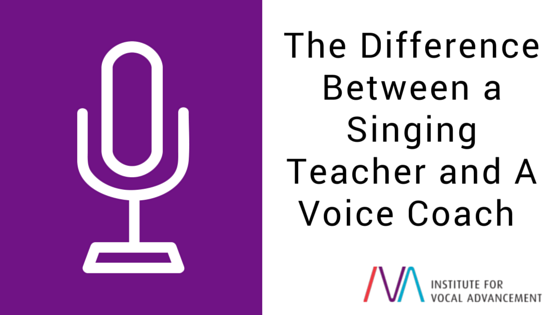 The distinction of singing teacher versus voice coach is nebulous, and can often depend on the particular teacher’s definition. Some use both terms interchangeably, and this can lead to confusion when a prospective singer is looking for assistance in matters of technique and style. A definition of terms may be in order. While this shouldn’t be considered definitive, it can help to clear up some of the misunderstandings that are generally associated with these two terms. A singing teacher is a professional that helps students to improve the technical usage of their voices. We might think of these professionals as technicians. They might teach individuals or group classes, and may specialize in a particular genre of singing. Singing teachers vary in their backgrounds as well as the style(s) of music that they know. Most singing teachers will have some sort of musical training, and be able to play the piano at a basic level. However, there are no legal licensing requirements for someone to call themselves a voice teacher, so the student should ‘shop around’ to find a teacher with good qualifications. Such qualifications may include, but are not limited to: education, continued training, attendance at important voice conferences and lectures, or holding certification in a particular professional organization. At a minimum, the voice teacher should have a thorough understanding of how the voice works and be able to help students learn to sing healthily and with greater balance and ease. A voice coach is another professional that helps singers with matters of musical style and performance practice and tradition. Often, a voice coach may be a pianist, conductor, or music director, and have experience leading musical performances in their respective styles. A vocal coach might assist with such matters as pronunciation, musical phrasing, performance practice, as well as helping the singer to ‘own’ the song. The voice coach might suggest such musical things as riffs, cadenzas, breath placement in phrases, additional repertoire suggestions, and other interpretive ideas. A voice coach may not be comfortable in technical matters of singing, and if technical issues arise may suggest to consult the singing teacher. In classical singing, this is very common: singers will work on their vocal technique with their singing teacher, and work repertoire with another person, usually a vocal coach. It’s important to know that while these definitions are VERY general, there can be quite a bit of ‘line blurring’ between them. Some teachers do BOTH, while other teachers prefer to focus more intently on the technical aspects of the voice. Some teachers are voice teachers but call themselves vocal coaches, and some vocal coaches may teach voice! Terms have been confused by the profession at large, so potential students should do their due diligence when looking for vocal help.